The 64oz stainless steel growler is primarily designed for beer, but is perfect for storing and transporting any beverage needed. Durable 304, 18/8 stainless steel for a lifetime of reliable use. Vacuum insulation keeps beer at optimum serving temperature. 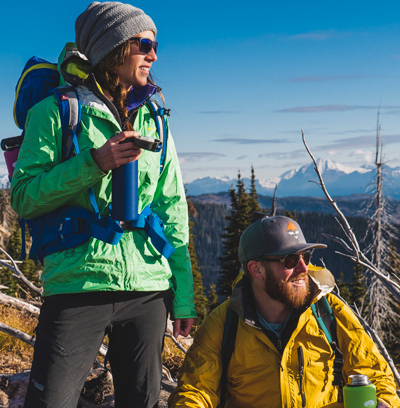 A two-finger carry and pour handle with integrated and insulated leak-proof lid allows you to take your beverage on all of your adventures securely and comfortably.